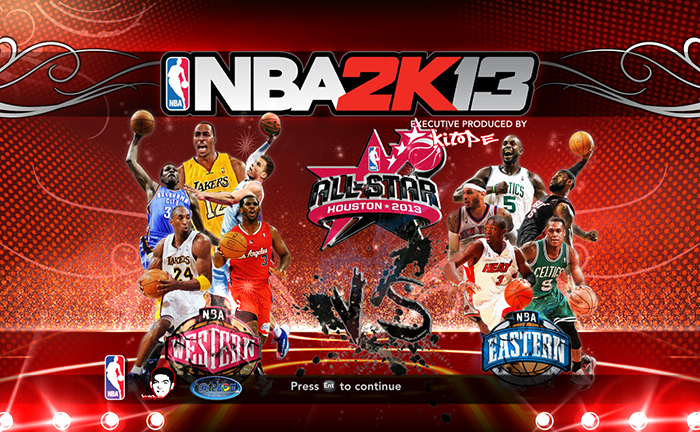 Description: If you wish to change your NBA 2K13 startup screen to something else here is one of the alternatives. This patch adds an NBA 2013 All-Star themed startup screen to NBA 2K13 featuring the East vs the West. Check out the other NBA 2K13 startup screen mods. Note: Before you make any changes or install any mods, you should back up your game files so that you can change it back anytime.